I am still recovering from a magical time in sunny freezing-cold Florida at the Disney Social Media Moms Celebration, aka #DisneySMMoms… Home with my kiddos has never been so sweet! Being one of the small percentage of moms attending the conference sans family (not by choice, mind you… I wish we could have afforded for all eight of us to spend a week at Disney World together), I was able to enjoy some fun girl-time with some of my fellow solo mom friends – Tara, Sue, Audrey, and so many more. Plenty can be said about this fabulous conference/celebration, and I will get to all of that, but for now I hope you’ll enjoy a glimpse into my play time. I always regret not taking more pictures while with my friends at events like this… For more, check out the Disney Social Media Moms Flickr stream, a picture of two of my closest friends and me, and one of some lucky moms with Chris Brogan. Can you see Alyssa and Colin peeking from behind in that last one? Miss you already, girls! But it looks like y ‘all had a fabulous time and what little time I did spend with you, was precious. I enjoyed it a great deal and needed it. muah! I wish I had more pictures of us together… It’s on in New York City, baby! Gosh, I miss you guys already too! 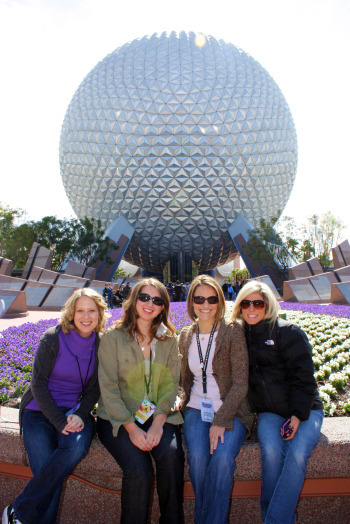 Hanging out at WDW sans kids was a truly magical experience, even if it was a little chilly. Plus I know all the ins and outs for when I do go back with the kids now. I’m trying not to be green with envy about the fact that you get to take your kiddos when you go back. Maybe someday I’ll be able to take my family, but you’ll have to give me some pointers on going with all the little ones. Such fun! I have very fond memories of Disney! Happy WW! How fun!!! But when you think about it, would you have really enjoyed your time chasing kids all over disney world? My hubby and I have decided that we wont take our kids there. I guess it’s from all of the horror storied I have heard from other parents about the ridiculous prices, lines and crowds. It just doesn’t sound like any fun to me! If I’m going to spend a ton of money on something fun for my kids, I can come up with something better than that! 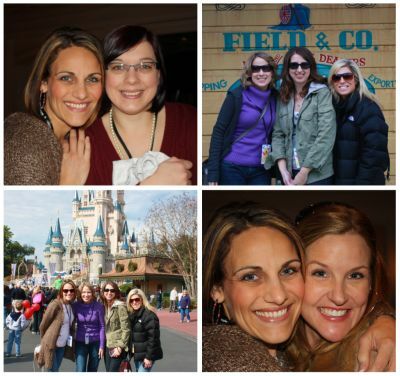 Now, a girls trip, that’s a totally different story!!!! Looks like you had fun, even if it was cold. I would so ditch my kids to do that! IT really looks like you guys had a ton of fun! We were all set to go…but I just couldn’t leave my 19mo old at home while we all went to Disney for the 1st time. NEXT year for sure!! So glad to have you here, Angie… Come back again soon! Wow – it was cold. She has a puffy jacket on! I had SO much fun hanging out with you ladies!!! And I love these photos. Thank you for sharing them. So wonderful to meet you at lunch! Looks like you girls had a fab time! I had a blast with you ladies! SO much fun! And just what I needed! Loved it! !